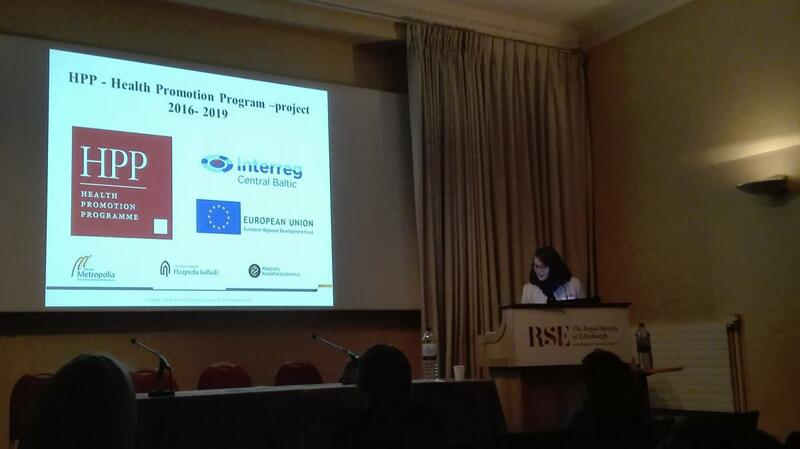 The 2nd International Conference of the Urban Research and Education Knowledge Alliance (U!REKA) was organized in Edinburgh, Scotland on 21-22 November 2017. Metropolia University of Applied Sciences (Helsinki) is one of the six partner universities of the U!REKA consortium, created in 2016 (http://www.ureka.eu/). The conference, hosted by the Edinburgh Napier University, was aimed at developing a network of research excellence between U!REKA university partners. The conference also offered the opportunity to discuss potential international collaborations around student and staff mobility, joint degrees, and best practice in learning and teaching. To keep care and services affordable in the future, they have to be organized differently by using the evidence based knowledge and technological innovations for promoting citizens’ autonomy. In addition, health promotion moves beyond a focus on individual behavior towards a wide range of social and environmental interventions challenging current competence demands. Interdisciplinary and multi-sectoral activities are demanded to promote health and well-being of all citizens. The understanding of workforce perceptions about health promotion competencies is an important input for future workforce training. In the HPP project, the competence needs evaluation results obtained by the project will be used as basis for the development of Health Promotion Education Programmes.